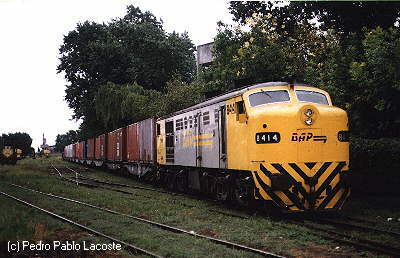 MLW delivered 25 broad gauge 5'6" World Locomotives to Argentina/General Mitre line, the only DL500 models built by MLW beside demonstrator 1953E (later to the RENFE). They initially carried nos. 5551 - 5575. A number of units received replacement sheetwork on the sides, see below. Four units number are still active with BAP. The rest ist stored (see preservation section) or gone. BAP "World Locomotive" # 8414 with a freight train. This is the new livery. 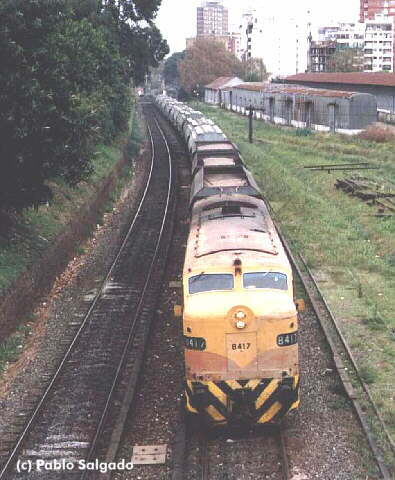 BAP 8406, still in FA livery, pulls a string of tank cars near Haedo. This one is a rarity because FPD7's don't always arrive to Buenos Aires. 8417 is seen here in a nice view from above. In fading FA colors, too, 8410 with a ballast train. 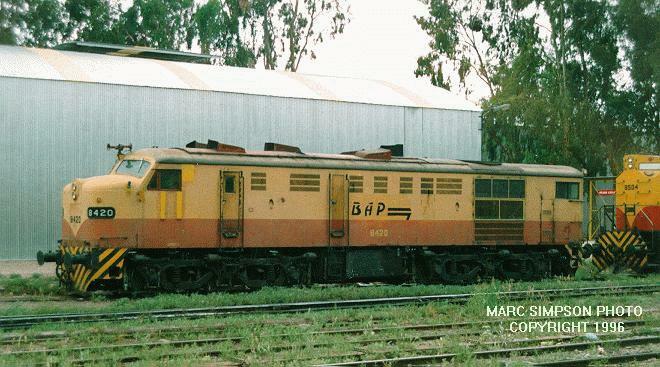 BAP 8420 at the Palmira engine depot near Mendoza, in Argentina in March 1996. Palmira is the main yard for the western end of the BAP system. 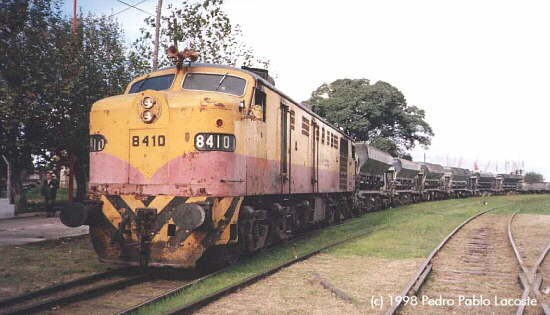 There are usually several RSD-35's switching, and a number of RSD-16 and DL500 units at the engine depot.